Scales of Justice icon. Group of clients symbol. Auction hammer sign. Law judge gavel. Court of law. 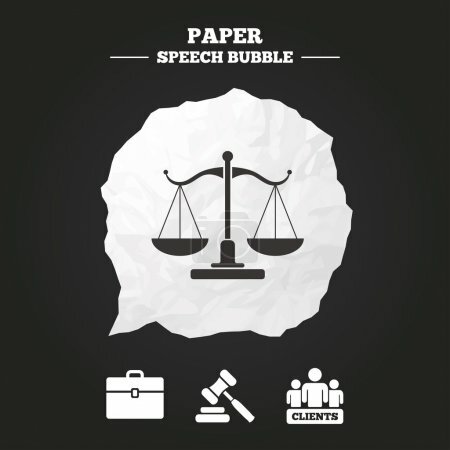 Paper speech bubble with icon.